Great variation exists among the 38 living rattlesnake species. Some species are small predators of lizards and insects that rarely exceed 2 feet in total length; at the opposite end of the spectrum, the largest species approach 7 feet and feast on rabbits and ground squirrels. The males and females of some species reach different sizes, a phenomenon known as sexual dimorphism. The most common pattern among rattlesnakes is for males to reach larger sizes than females. Male western diamondback (Crotalus atrox), eastern diamondback (Crotalus adamanteus) and canebrake rattlesnakes (Crotalus horridus atricaudatus) achieve longer lengths and weights than the females do. In other species, for example pygmy rattlesnakes (Sistrurus miliarius), the males and females are about the same size. Sidewinders (Crotalus cerastes ssp.) present one of the few examples in which the females grow larger than the males do. The degree of sexual size dimorphism is often subtle. 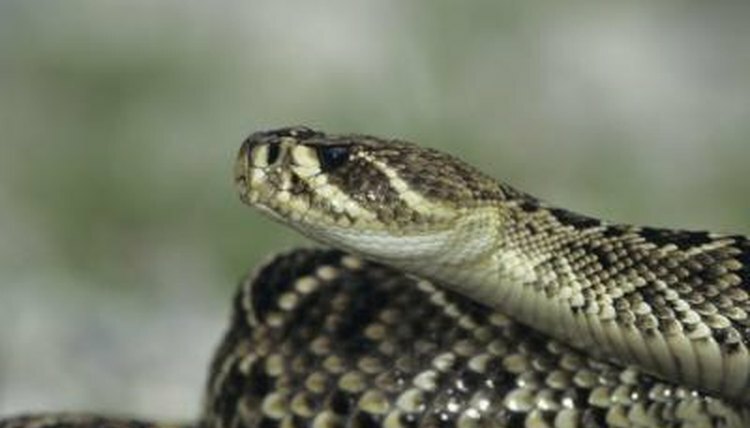 For example, male black-tailed rattlesnakes (Crotalus molossus molossus) average 37.5 inches, while the females average about 34 inches in total length. Male Mojave rattlesnakes (Crotalus scutulatus scutulatus) reach about 34 inches, while the females only reach about 30 inches. Banded rock rattlesnakes (Crotalus lepidus klauberi) exhibit one of the most drastic ratios, as the males reach about 20 inches, while the females average about 17 inches. How Long Can Rattlesnakes Grow?